Purple Urple is a dark purple that looks like C3-80 Hyacinth but works differently in the flame. 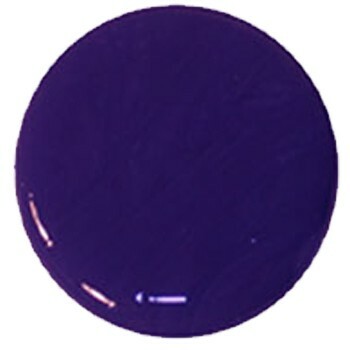 This opaque purple uses chrome based technology but does not have cracking problems. It is great for blown work and thin stringer application. It is heat and flame sensitive so it must be heated up slowly to prevent boiling. Once it glows red, C3-101 Purple Urple will take heat well. Because of its intensity it is sensitive to reduction. If the flame is not oxidizing enough, gray and brown streaks will develop on the surface of the glass. Try it with a layer of C3-32 Violet for a deep purple effect.